If your garage door is bringing down the look of your entire facade, maybe it's time for a change—and what better place to start than with the high-quality doors and a generous new selection of styles, colors, and options from Clopay. Every time you leave or return home, you can’t help but notice the garage door. But how often do you really look at it? If you’re like most, you rarely pause to consider the impact your garage door has on the appearance of your home. 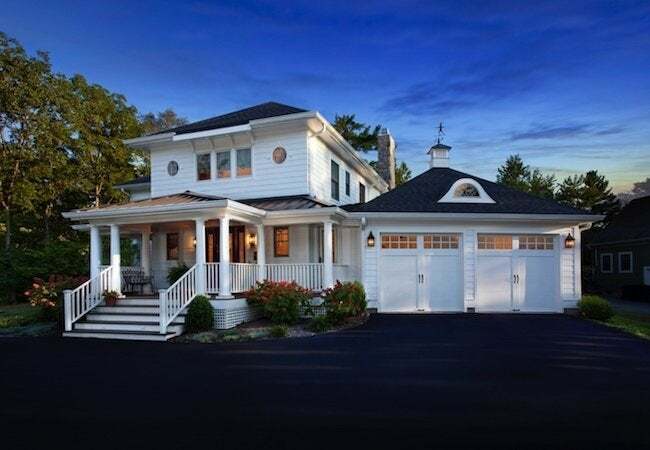 Indeed, ever since the rise of the automobile, the garage door has become the dominant feature of most home exteriors. 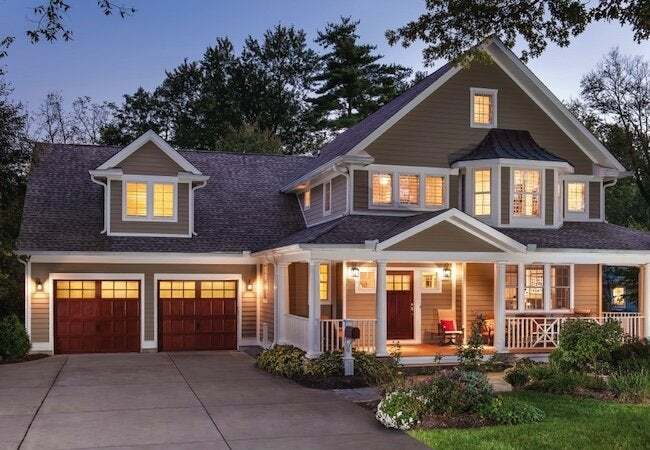 Paint colors, architectural details, and landscaping all contribute to a home’s character, but make no mistake, curb appeal inevitably suffers if a garage door appears worn, out of date, or simply doesn’t complement the rest of the house. But this isn’t just about aesthetics. The right garage door can directly benefit a homeowner’s bottom line, both right away and over the long term, so a garage door should never be an afterthought. Instead, view a new garage door as an opportunity to give your home an instant facelift in a highly cost-effective way. If it’s been years since you shopped for a garage door, you may be pleasantly surprised by how much things have changed. Garage door manufacturers like Clopay now offer an astonishingly wide range of durable, low-maintenance materials and styles, with all the options you need to customize a door that will suit your home perfectly. When viewed from the street, the garage door can account for as much as 40 percent of a home’s facade. Because it’s so prominent, the garage door can make or break a visitor’s first impression. If your battered old door has seen better days—or if it never really matched your home in the first place—then it may be sending the wrong message about you, your style, and your priorities as a homeowner. By upgrading to a new garage door that perfectly captures your design vision, you can instantly transform your home’s curb appeal. As simple as that sounds, there are a lot of factors to consider. With its online Door Imagination System, Clopay makes selecting the perfect door not only easy, but actually fun. After you upload a photo of your home, you can experiment with different combinations of garage door designs, finishes, and hardware, so you can see exactly how each would look installed on your house. From timeless carriage house style doors to sleek and streamlined contemporary models, Clopay provides plenty of options. Because when it comes to curb appeal, there’s no such thing as a one-size-fits-all approach. In a busy household, the garage door gets opened and closed so frequently that temperatures inside the garage go up and down like a rollercoaster. That isn’t such a big deal in a stand-alone, rarely used garage. It’s a much different story, though, when the garage is attached to the house, or if your garage doubles as a workshop, laundry, or utility room. Here, the temperature matters, not only for your comfort, but also for your energy bills. After all, temperatures in the garage can affect those of adjacent living areas. Check your next utility bill. If it’s sky-high, your garage door may be at least partially to blame. Fortunately, there’s a simple, cost-effective solution—garage door insulation. An insulated garage door ensures substantially more stable temperature levels. In fact, on a cold winter’s day, an insulated door keeps the garage 10 to 20 degrees warmer than it would be otherwise, according to a study by Clopay engineers. If you’re hoping to raise the energy efficiency of your garage and your home, be sure to double-check the insulating properties of any door you’re considering. Another reason to opt for a door from Clopay: The company gives you the freedom to choose the type of garage door insulation best suited to your needs—polystyrene or foamed-in-place polyurethane (ideal for regions with cold winters and hot summers). No matter which you choose, you can count on greater comfort and savings with an insulated garage door. Everyone knows that home improvement adds value, but from a return-on-investment point of view, a handful of projects are known to pay you back when it’s time to sell. It may surprise you to learn that out of all the most commonly completed home remodeling projects, garage door replacement ranks near the very top of the list in terms of cost-effectiveness. In its annual Cost Vs. Value Report, Remodeling magazine reports that at resale the average homeowner recoups 91.5% of the amount spent on a garage door upgrade. Of course, maintenance goes a long way to safeguard your return. 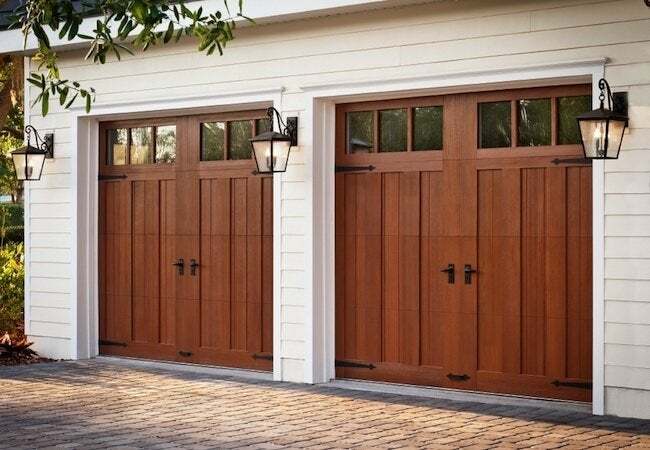 All garage doors require annual maintenance to keep them running smoothly. Take note, though: Not every garage door on the market is built to last, and some require ongoing finish upkeep to retain their beauty through the years. Look for insulated models constructed in durable, low-maintenance steel or composite, so you can enjoy all the benefits of your new garage door without any hassle. Gone are the days when homeowners expected garage doors to do nothing more than open and close. Today, we insist on eye-catching designs that complement the colors and architectural style of our homes. At the same time, savvy homeowners know that the garage door can maximize comfort and energy efficiency. Finally, more and more homeowners look to garage door replacement as a reliable means of boosting home resale value. Times have changed, and in the modern home, garage doors play a central role, both aesthetically and practically. Let Clopay, with its history of service and commitment to American-made products and design innovation, help you transform the look of your home by giving you the tools and the confidence you need to take the next step.